Shot by the Sea is a film project which invites new and experienced film makers in Ireland to make a 5 minute short film of any genre, during the month of March 2019 as part of Galway 2020’s Small Towns Big Ideas project. 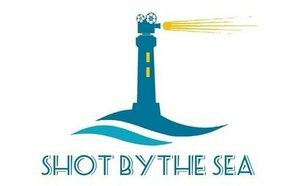 The Shot by the Sea Challenge and festival is open to everyone. Students, community groups, individuals, established film makers and novice filmmakers are all invited to make a short film set on the Wild Atlantic Coastline of Galway: anywhere from Kinvara to Clifden and all the islands, towns and villages in between. Every’ Shot by the Sea’ submissions will be screened in Salthill on 18th April throughout the day with a select few being chosen to feature at the gala awards event that evening. There will be awards for Best Film, Best Director, Best Actor, Best sound, Best Edit, Best Cinematography, Spirit of the Festival and Best Student Film. What is The Challenge? To make a short film, shot by the sea on the Galway Atlantic Coast during the month of March 2019. You can shoot your film on a mobile phone, film or your digital camera. Shot by the Sea want all sorts of shorts films, all genres – Drama, Documentary, Comedy, Romance, Tragedy, History, Horror…whatever you like. We know that there are some beautiful coastline locations and we challenge our filmmakers to use these in a new ways, new locations, new angles to tell exciting new stories. The initiative is also encouraging international short films to get involved in the screening event. International filmmakers that have a film which has been shot by the sea outside of Ireland are also open to enter. The film must be no longer than 6 mins to be eligible for inclusion in the screening event on April 18th 2019. The inititative comes in conjection with Galway’s selection as the European Capital of Culture in 2020. As one of the largest cultural events in the world, Galway 2020 promises to deliver a year of thrilling, lifeenhancing experiences through culture and the arts. The exciting pan-European programme for the year will see events in unexpected venues and locations throughout the region on the islands, in remote villages, in bogs, fields, mountains and on beaches. From food, music, dance, literature and visual arts to poetry, theatre,sport and largescale spectacle, everyone will get the opportunity to enjoy a fun-filled, once-in-a-lifetime experience. Entries can be submitted by a secure link to shotbythesea@gmail.com.